a) Do you think cartoonist Ramirez makes a valid point about President Obama’s treatment of businessmen? Explain your answer. 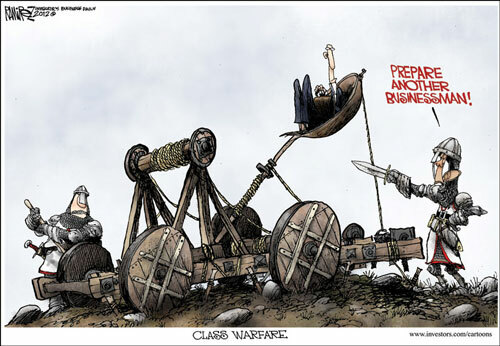 b) Do you think Ramirez’s cartoon is a fair portrayal of President Obama’s treatment of businessmen? Explain your answer.